For executive director Kia Liszak, the move can’t come soon enough (watch accompanying video). Specially challenged as it is, ZACC conducted a feasibility study and surveyed residents before concluding that the time had come to begin searching for a permanent home. It found that home in the Studebaker Building, a two-story structure on Front Street. At 17,000 square feet, the downtown building will essentially double the 8,500-square-foot facility ZACC has occupied on Missoula’s vintage Northside since its founding a decade ago. With its steady growth, ZACC plays host to 1,000 people a month, from burgeoning musicians to painters, potters and printers. 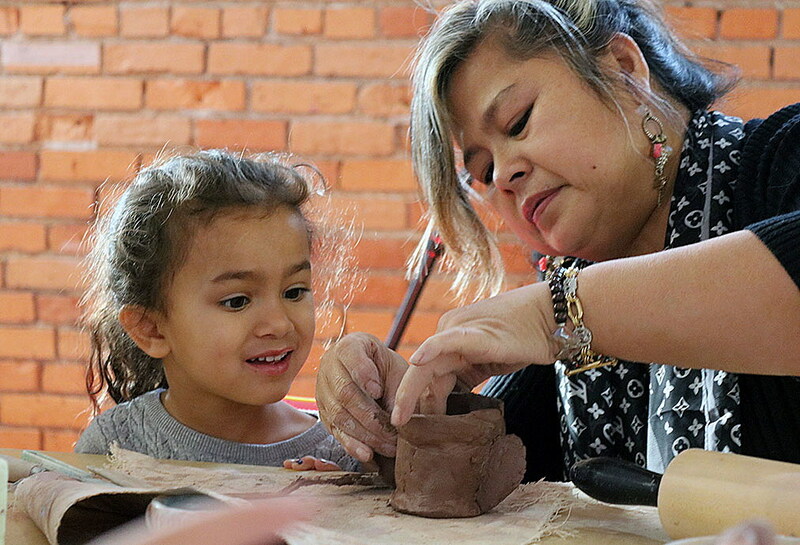 Its summer art camps and after-school classes continue to grow, and its field trips and adult courses are well attended. Art has the power to effect change, Liszak believes, and she’s looking to bring that change to the middle of downtown Missoula. While ZACC has followed that same mission since its founding as a nonprofit, its growing programs have placed a pinch on its North First Street facility, perched as it is along the fringes of Montana Rail Link’s diesel refueling station. On this day, a line of coal cars sat in rail yard, all but severing any view of downtown Missoula, which sits achingly close but yet so far away. That lack of accessibility has troubled Liszak for years. It’s also kept ZACC somewhat hidden, leaving its do-it-yourself offerings something of a mystery to the larger community. 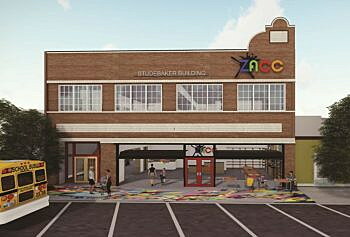 Under its current timeline, ZACC will begin interior construction at the Studebaker Building in March. The facility has served as an office for years and is currently home to Advanced Technology Group, a tech company that’s moving to the Old Sawmill District next month. Liszak has high hopes for the downtown location and her organization’s new potential. When it opens next September, the new ZACC will provide more space for creative endeavors. Among them, it will include a “black box” theater with room for 160 people. More art studios, a recording booth, classrooms and a larger art gallery are also in the plans. Through its campaign, ZACC has gained an impressive list of supporters, including Jeff Ament of Pearl Jam, who has naming rights to the recording studio. It also includes lead donors Nick and Robin Checota, owners of the Top Hat, Wilma and Kettlehouse Amphitheater. During its time on the Northside, ZACC has led the neighborhood in something of a revival, the buildings now quaintly painted and occupied. By moving downtown, the western stretch of Main Street could see a revival of its own.